BMW Blog Shop Now Open! Home / News / BMW Blog Shop Now Open! BMW Blog. It is the place for all things BMW. I think we all know that this website is one of the most enjoyable ones, not just for the readers, but for the writers too. 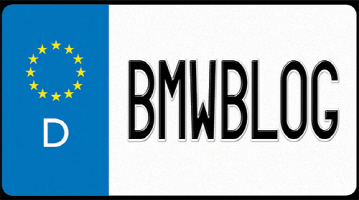 Well, now you can show your official support for BMW Blog with our official BMWBlog Shop. Need a Father's Day gift for the man who has everything? Well, I bet he doesn't have the new BMW Blog mug for his morning coffee while reading the latest BMW news. How about a nice Birthday gift for that friend or loved one that enjoys seeing my smiling and beautiful face on the latest news videos? Maybe they would enjoy a BMW Blog hoodie or polo. But what about yourself? Go ahead, spring for one of the cool hats, or both, or even the golf shirt for while you're out there swinging the old wrenches. Remember, make yourself happy first and then think about the others. Whatever your taste, whatever your style, the new shop has it all for you. I for one will be ordering the new messenger bag for when I'm off on test drives to hold my cameras and information on the car(s) I'm playing around with. Come in and stop by. Who knows, you may end up with a shopping cart full of great items to keep for yourself or give out to friends.